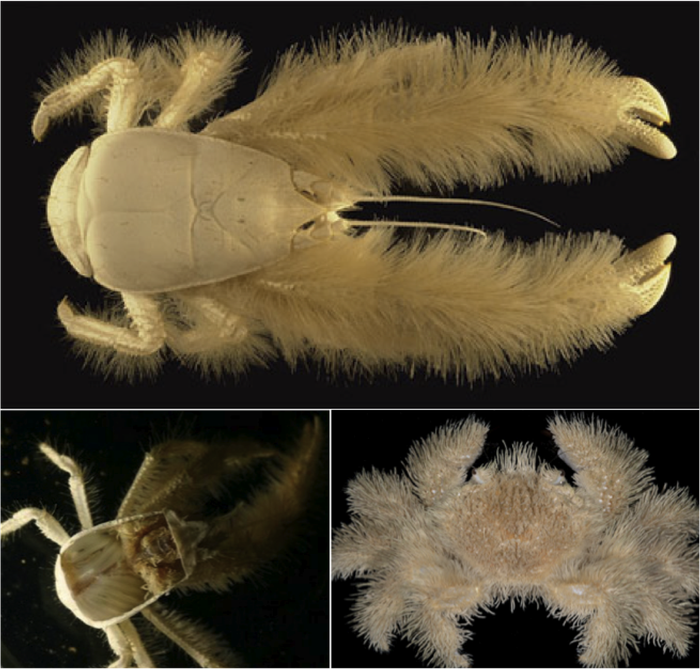 The peculiar looking crustacean known as the yeti crab gets its name from the layer of "furry" setae that covers most of its body.Given the scientific name "Kiwa hirsuta" and sometimes called a “furry lobster”, the yeti crab was originally discovered in the Pacific Ocean near the Antarctic Ridge about 900 miles off the coast of Easter Island. 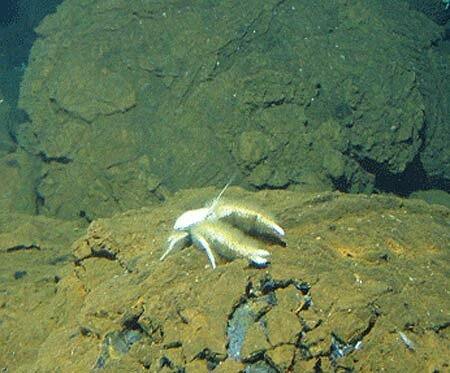 Since then another species has been discovered and named “Kiwa puravida”.Yeti crabs are known to inhabit the ocean floor and stay near hydro thermal vents, and due to their entire lives being spent on the ocean floor, they never develop the ability to see. 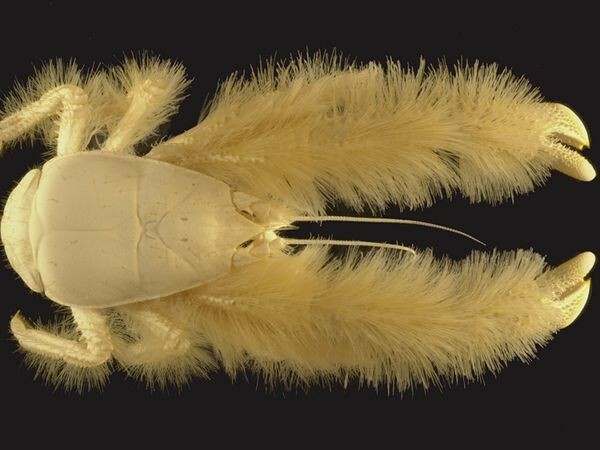 The white hairy crabs are known to be unusually large for living where they do, with an average length of around 6 inches (15 centimeters), and are found at depths as deep as 7200 feet (2200 meters). 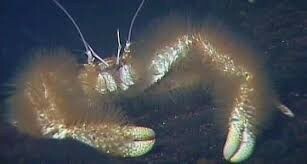 The arms are actually covered in bacteria, which lives in the setae and is most likely a food source for the crab. Yeti crabs are also believed to feed off mussels, shrimp or algae. Their hair is possibly a means of sensing their surroundings. Not much else is known about the yeti crab, but it is believed to be a distant relative of the common hermit crab. Kiwa hirusta grow its own food in its hair! It is noticeable for the quantity of silky blond setae covering its pereiopods.